I bought a Mac (13", early 2011) almost 5 years ago. When I first got it, it was running under OS X 10.7 and it was pretty fast. I've being upgrading it ever since and it's now running under Mac OS X 10.11. I guess it didn't totally survive the upgrades because, today, there's a lot of bugs, freezes, lags, "spinning beach ball" appearing,... for example, when I write something on a normal program/editor, the cursor freezes for a few seconds, then catches up to what I'm writting. As you can guess, that's really annoying! I've been thinkning about upgrading the hardware but I don't know what to do: should I change the RAM to 8 GB - 1 333 MHz (currently my computer has 4 GB - 1 333 MHz)? Or should I upgrade to an SSD (which is pretty expensive and difficult to install)? I'm going on the assumption that you have a MacBook Pro Early 2011. There were no MacBook Airs with that designation and MacBooks stopped production in 2010 and resumed again in 2015. It would still be helpful to know what specific model you had, however. It came (usually) with 4GB of RAM, 320GB (spinning, 5400 RPM) hard drive. That's not anywhere "fast" by today's standards. The max you can put on this is 16GB of RAM. You can use any of these 16GB kits (2 8GB SODIMMS) or go for this one by Crucial. I have used this brand in 2 iMacs and 4 MacBook Pros with zero issues. The iMac I am typing on right now has 32 GB and I can't tell you how much a difference it has made over the 4GB that came with it. Your 5400 RPM drive is slow. They picked 5400 RPM over the faster 7200 RPM for one reason and one reason only - battery life. Adding an SSD will not only give you tremendous speed, but also longer battery life. I upgraded my iMac just two weeks ago from the 1TB Fusion drive to a 1TB SSD and this thing not only runs quieter, but faster as well. While you are replacing drives, if your old 5400 Drive is still good, you can use it as a second drive for data, music, pictures; create your own Fusion Drive or best yet, have an internal drive for super fast Time Machine Backups. There is a universal optical bay hard drive conversion kit that you can use to install another HDD/SSD in its place. I have used two of these already, one in a MacBook Pro and the other in a Dell Optiplex 745. At under $15, it is a super cheap option to add. How to Install all this "Stuff"
You can get tutorials on how to do this from http://ifixit.com which is where I sourced all these great photos. You will want to make a Time Machine backup of your computer. It will be the easiest way to transfer all your files and settings. Personally, I like to start with a nice clean slate and just move over data. Applications I like to re-install. I have found that my computers are much more stable when doing clean installs rather than restoration of previously installed software. So it's been a long time since I originally posted this question. I didn't update my RAM (although I'm thinking about it), but I changed my hard drive to a Samsung SSD. The change is radical. The computer is not slow at all anymore. There are no more "freezing", and it takes exactly 15 seconds to boot, instead of something like 1 minute or more. Any application opens almost instantly. It seems like I just bought my mac. 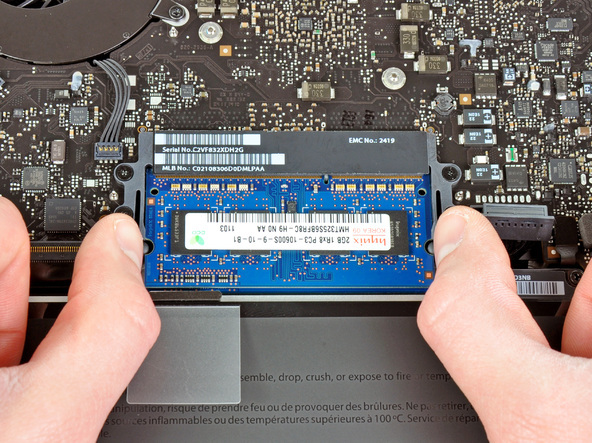 If you want to speed up your mac (or PC), you should definitely buy an SSD. I also did a clean install and copied whatever I needed from a backup. As I said, I'm thinking of adding some RAM. I currently have 4GB but I want to buy 8GB or 16GB. I'll let you know then, if it works or not. Please upvote this answer so that everyone can see it ! Hello again, I posted this answer about 3 years ago. I recently had to change my RAM so I now have 8 Gb of RAM instead of 4 (my old RAM that came with the Mac died). To be perfectly honest, the change wasn't radical this time but I do feel like the computer isn't as slow when I use multiple applications at once. I'm now studying computer science so I often have lots of programs opened at the same time and I really don't think I could have done this with 4 Gb. Sometimes I'm forced to run a Windows VM and, although it's far from being optimal, I can still do it with just a few lags from time to time. A very important point to note, I'm still running Mac OS 10.11 ! So under a more recent version of MacOS, my computer would probably not be as fast. But to be fair, I have a friend who was using a 2012 MBP (mine is from 2011) on the latest version of MacOS and when he changed to an SSD, he told me that, just like me, he felt his computer was brand new. So if you have a 2011 (or even older !) Mac that is getting old, instead of buying a new one you could simply upgrade your storage to an SSD and buy more RAM. Chances are you'll feel your computer is brand new. I report as answer my comments above. Assuming you are using a HDD, I guess an upgrade to SSD will increase a lot the speed of your Mac. If you buy a new SSD and start instilling and saving only the things you need (without restore from a previous backup with Time Machine) the speed will increase a lot!! Naturally assuming you don't have any problem in the hardware! I recently install a Samsung SSD EVO series and it works perfectly in my MacBook Pro Mid-2010. If you prefer expend a little more you can go through the PRO series. Before upgrade also the RAM, I think you should first try to see how the performance increase with the new SSD and then evaluate if it worth to buy also more RAM memory. Not the answer you're looking for? 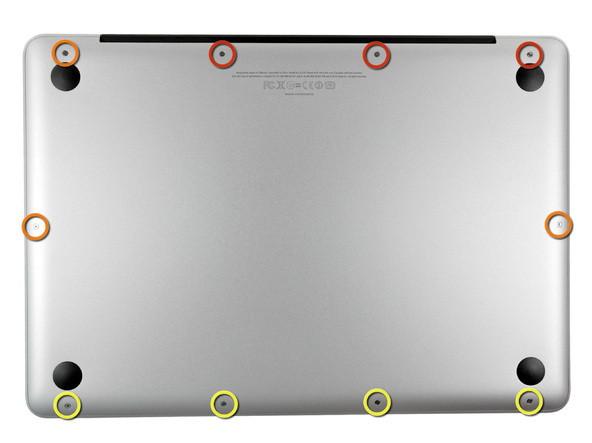 Browse other questions tagged macbook mac hardware upgrade . What hardware upgrade would be most beneficial for a Mac? Yosemite upgrade frozen, what should I do? Mac slow after clean install, what should I do?